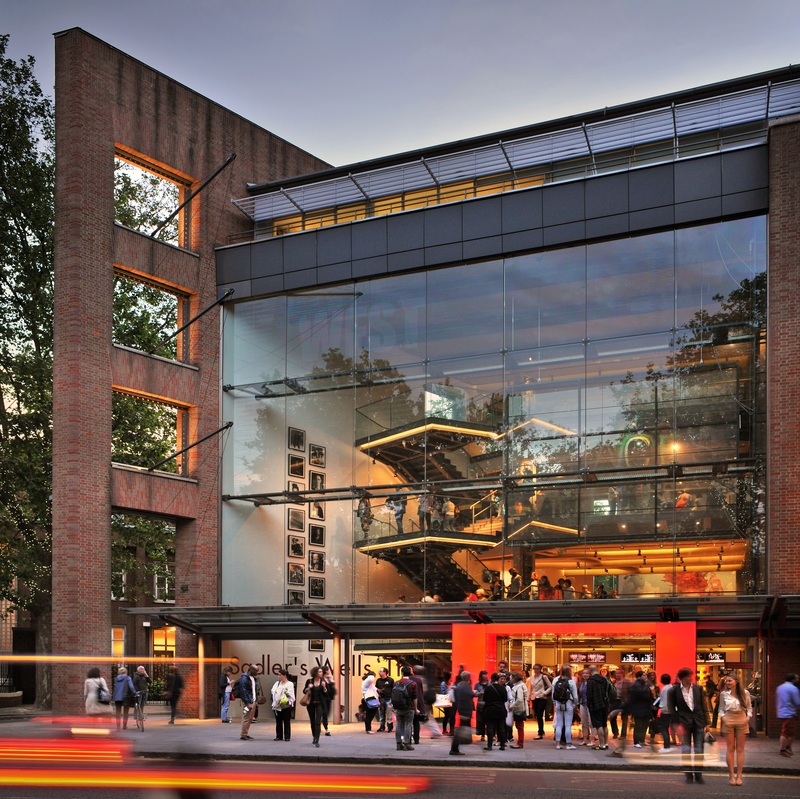 In October 1998, after two intense years of construction, the new Sadler’s Wells theatre opened its doors to the public. The milestone was marked with two opening events. One, a traditional gala opening and performance by Rambert, took place on Tuesday 13 October. The other, in keeping with Lilian Baylis’ legacy of using theatre as a means for social outreach, was a free public opening for the local community, which took place the previous Saturday 10 October. As a nod to the past, but with our eyes fixed firmly on the future, our 20th anniversary celebrations this month reflected these two separate openings. On Sunday 7 October, we opened our doors to our local communities for Sadler’s Wells’ first Fun Palace, as part of Fun Palaces 2018. The campaign promotes the central role of community at the heart of culture with a weekend of action each October, where arts, science and community organisations across the country are called on to facilitate community-led activities. 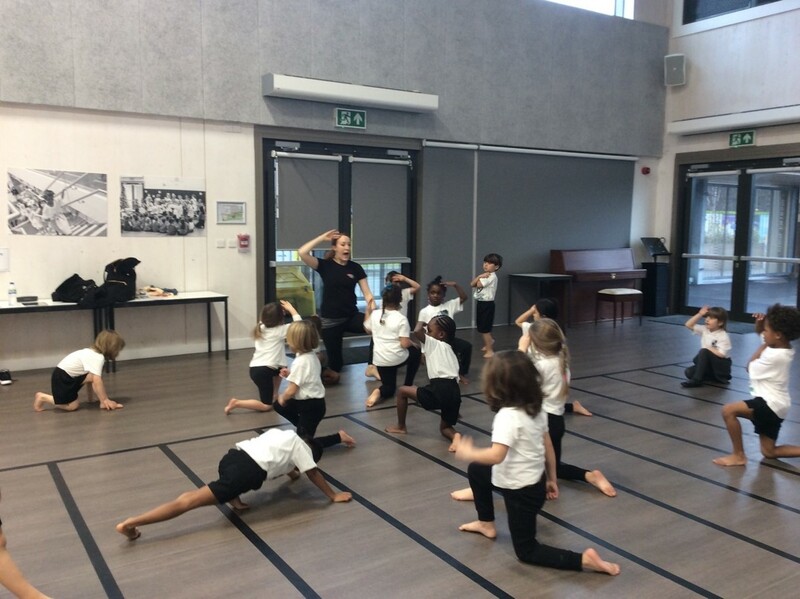 For the Sadler’s Wells Fun Palace, we invited local community organisations to lead a variety of activities throughout the day; the resulting programme had a strong emphasis on skills, learning and creativity. Workshops throughout the day were grouped into three main categories – dance, crafts, and mindfulness, with a requisite dance floor on the ground floor. With something happening on each of our foyers, visitors were encouraged to wander throughout the building, drop in and out of various activities or simply sit down to watch, chat and relax. By the end of the day, visitors had a chance to learn Tudor dance, Bollywood and flamenco moves, practice yoga, take part in a drawing class and decorate a paper footprint to be displayed on the wall of the Mezzanine level as part of a collective artwork titled Dancing on the Ceiling. “I particularly loved the silent disco – 100% certified fun! It is wonderful that Sadler’s Wells reaches out to people in the community with such days, particularly this 20-year celebration.” – Wendy Williams, Holloway Neighbourhood Group. Four days later, on 11 October, we celebrated again with the world premiere of Reckonings, a mixed bill we commissioned to three bold choreographic voices: Julie Cunningham, Alesandra Seutin and Botis Seva. The dance makers each took different conceptual starting points to create an evening that at its core asked questions about identity and the state of contemporary society. Cunningham’s work interrogated traditional gender binaries; Seutin fused African styles with urban dance language to comment on how we perceive brown bodies; and Seva – inspired by Sally Brampton’s memoir about depression – looked introspectively at his own trials as an artist, using a hip-hop dance vocabulary and representations of violence to question our assumptions about black men and street dance. 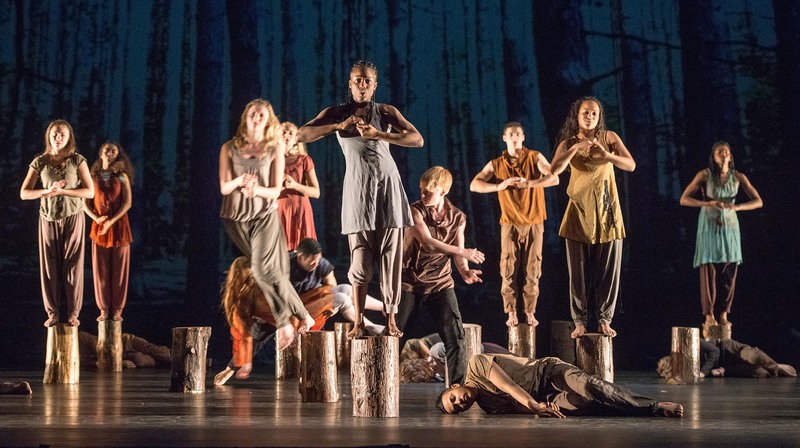 “The revised, rejuvenated old Wells theatre took on a new life, ‘purpose-built for dance’, twenty years to the day (feels like yesterday), and has gone from strength to strength since taking dance to realms beyond one’s imagining. Long may it continue to dare and innovate.” – Vera Liber, British Theatre Guide. Sadler’s Wells’ Artistic Director and Chief Executive Alistair Spalding joined the three choreographers and their dancers on stage after the curtain call to give a brief speech, congratulating the artists for creating and bringing to life an amazing performance. He also thanked the exceptional artists we work closely with at Sadler’s Wells: our Associate Artists, Resident and Associate companies, New Wave Associates, Young Associates, National Youth Dance Company members and alumni, as well as all the international dance artists and companies we support and collaborate with. He acknowledged the great contribution of two formative figures in Sadler’s Wells’ history, who were both in the audience that evening: Ian Albery, former Chief Executive of Sadler’s Wells, who led the campaign to transform the theatre into a building purpose-built for dance; and Roger Spence, Project Director, who managed the construction project. Finally, he ended with a heartfelt thank you to our fantastic audiences for accompanying the theatre on its journey in the last two decades. This was followed by a confetti drop, showering the audience in golden ticket stubs embossed with the night’s date and the names of the production and choreographers. 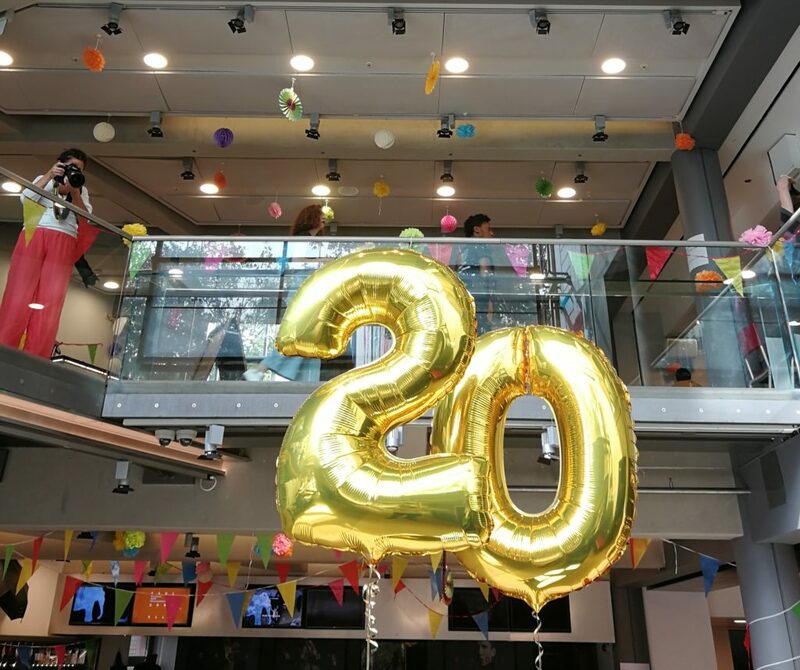 As part of our digital campaign to mark our anniversary, we took to Twitter to ask people about their favourite Sadler’s Wells memories of the last 20 years. We received some wonderful responses from artists, performers, patrons and guests, which we compiled in this Twitter Moment. Among those who told us about their favourite memory was Florence Welch, musician and lead vocalist of Florence and the Machine. Thank you to everyone who came to our Fun Palace and to the opening of Reckonings – to all the artists, audiences, communities and supporters who have been part of the Sadler’s Wells journey these past 20 years. Here’s to many more! 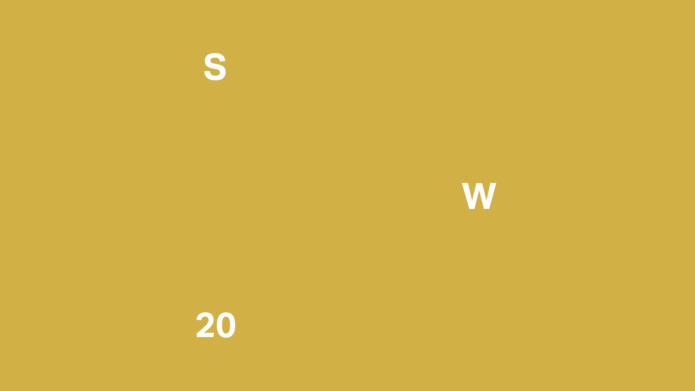 2018 marks the 20th anniversary of the current Sadler’s Wells building – a place where artists and audiences come together to create and experience dance; to take part, learn, experiment and be inspired. As we embark on our next chapter, we reflect on some of the highlights of an eventful two decades, and the moments that have helped to define what Sadler’s Wells is today. 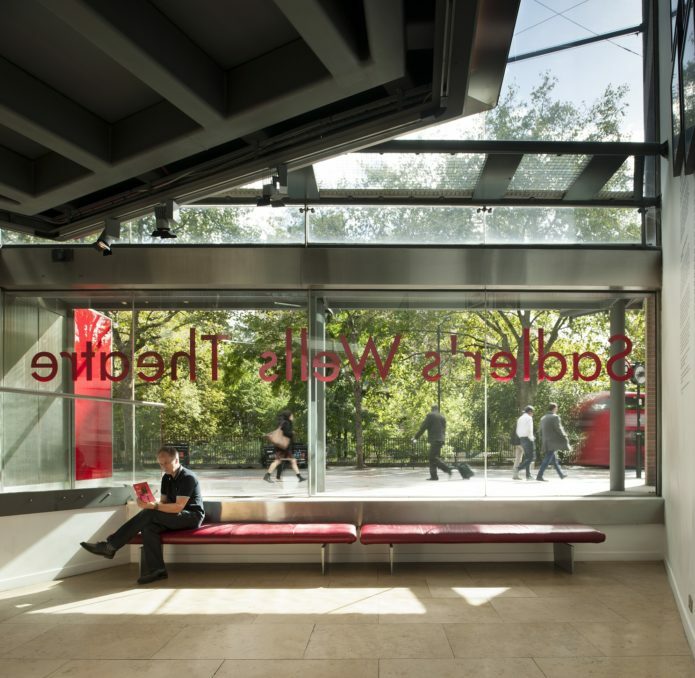 In October 1998, after two years of construction, the new Sadler’s Wells theatre opened its doors to the community. The building was brought to life with performances from Rambert, the Royal Ballet and Birmingham Royal Ballet, as audiences were invited to look around and experience first-hand the sixth incarnation of this historic Islington institution. The redesign ensured the technical and stage equipment was modernised, the auditorium and stage more spacious, and incorporated a public café and what was then known as a Community and Education Centre. This was in keeping with the modern vision for the theatre – an organisation rooted in the community, with a cultural programme extending far beyond the main stage. 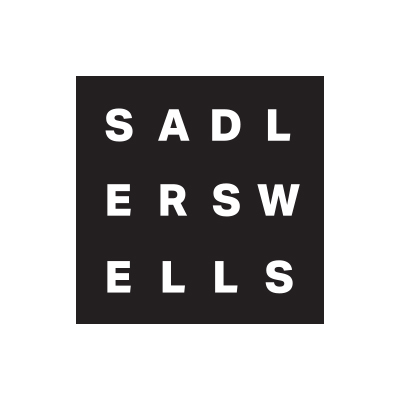 At a press conference in March 2005, recently appointed Artistic Director and Chief Executive Alistair Spalding announced that Sadler’s Wells was to become a producing house with artists creating new work at its heart. He appointed the first group of Associate Artists, which included BalletBoyz, Jonzi D, Wayne McGregor, Matthew Bourne and Akram Khan (whose short film XEN, which we commissioned earlier this year, can be viewed above). To date, we have helped bring to the stage over 160 new productions and our family of Associate Artists has grown to 16 (plus an Associate Artist Emeritus, Sylvie Guillem, who retired at the end of 2015). Ruth Amarante in Viktor (c) Maarten Vanden Abeele. The late Pina Bausch, one of the most significant choreographers of our time, redefined what dance could be. Known as the inventor of tanztheater, the German dance maker has inspired generations of audiences and artists all over the world, nurturing an ensemble of vivid imagination and grand scale – Tanztheater Wuppertal Pina Bausch, a Sadler’s Wells International Associate Company. In 2012, to celebrate the Cultural Olympiad, Sadler’s Wells and the Barbican presented all 10 of Bausch’s iconic World Series productions – epic travelogues inspired by cities around the world, created between 1986 and Bausch’s death in 2009. First up was the extraordinary Viktor, inspired by Rome. Pupils from Mossbourne Riverside Academy take part in a dance workshop. In November 2013, we announced our ambition to build a 550-seat theatre to support dance talent wanting to up-scale their work, and to present the best international work made for the mid-scale, plugging a gap in London’s dance infrastructure. Not long afterwards, the then Mayor of London and the London Legacy Development Corporation (LLDC) invited Sadler’s Wells to consider being one of a number of cultural organisations to occupy the Stratford Waterfront site within the redevelopment of Queen Elizabeth Olympic Park in east London, as part of the ongoing legacy of the 2012 London Olympic Games. 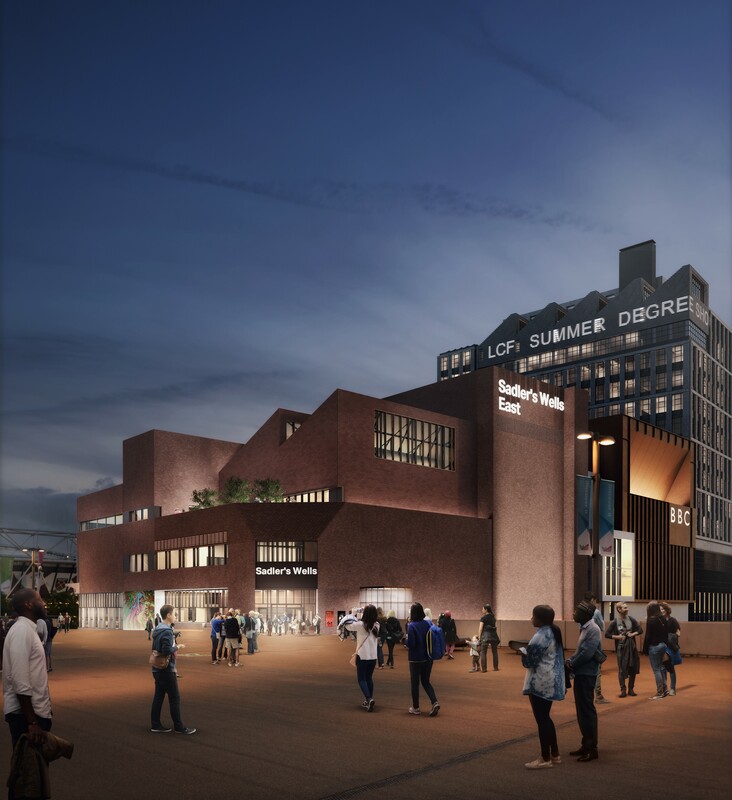 Sadler’s Wells East will be part of a new cultural and education district, the East Bank project, alongside the BBC, UAL’s London College of Fashion, UCL and the V&A in partnership with the Smithsonian Institution. Ahead of opening our doors in Stratford in 2022, we are working closely with our East Bank partners and local community and cultural organisations in east London to plan and deliver joint events and activities. These include the Open Doors: Vote 100 held at Here East in July and an ongoing pilot project at Mossbourne Riverside Academy, a primary school on Queen Elizabeth Olympic Park, to embed dance within local children’s education. Weekly dance classes in different styles, an after-school club, sessions for teachers and workshops for parents are delivered by dance professionals working in collaboration on the project, including East London Dance, our Associate Company English National Ballet and Studio Wayne McGregor. 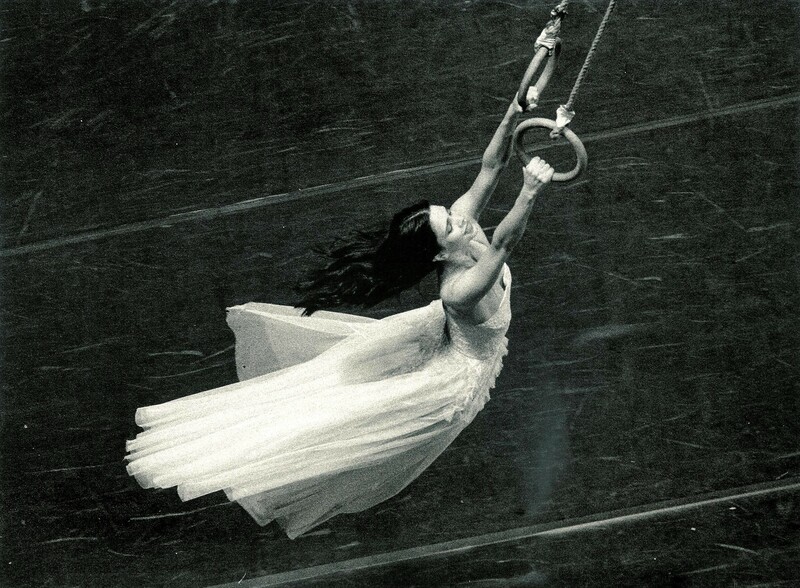 Sylvie Guillem in Mats Ek’s Bye. Guillem’s first contemporary performances on our stage were in 2004 for Broken Fall – a collaboration with fellow Sadler’s Wells Associate Artist Russell Maliphant, and Michael Nunn and William Trevitt. It was followed by PUSH, a duet with Maliphant, which premiered here in 2005 (see no.9). She collaborated with Akram Khan for Sacred Monsters, which also premiered here in 2006, the same year she became an Associate Artist. In 2009, she collaborated with Robert Lepage and Maliphant for our production Eonnagata, with costumes by Alexander McQueen, while in 2011 she devised and performed in 6000 miles away, which we produced. It featured works by three of today’s most important choreographers; Mats Ek, William Forsythe, and Jiří Kylián. All these productions toured internationally to full houses and critical acclaim. 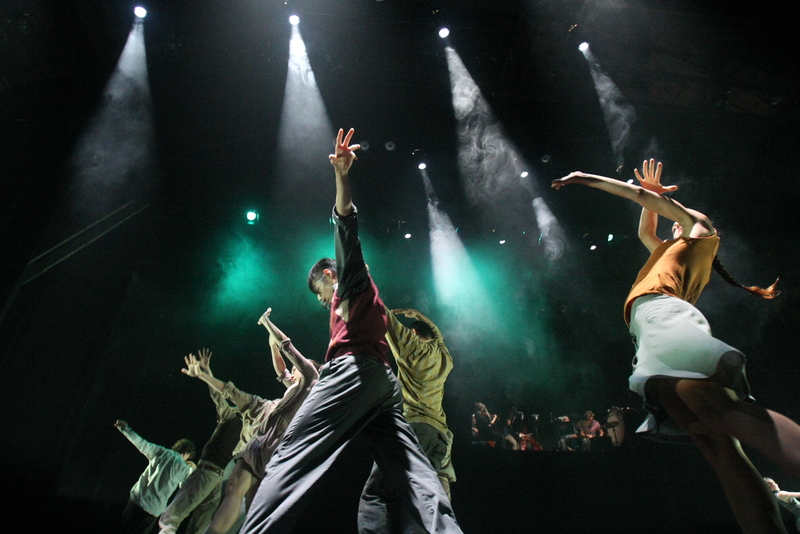 Breakin’ Convention is the critically acclaimed powerhouse behind a hip hop theatre revolution. It all started in 2003, when artistic director Jonzi D had an idea that would shake up the UK theatre scene forever – a festival that brought together the best hip hop dance theatre performers from around the world on London’s doorstep. On 15 May 2004, Sadler’s Wells helped to make that dream a reality and Breakin’ Convention, the international festival of hip hop dance theatre, was born. The groundbreaking line-up saw artists such as Rennie Harris, Benji Reid, ZooNation, Boy Blue and the Electric Boogaloos performing to a sell-out audience hungry for a dance form that had been missing from the UK landscape. Today, Breakin’ Convention continues to push boundaries through its world-renowned festivals, international tours and education projects. Hofesh Shechter Company: In Your Rooms (c) Ben Rudick. Pulsating rhythms, exhilarating energy and excited audiences – we always know when Hofesh Shechter is in the building. One of the most exciting dance artists working today, Shechter’s talent was spotted early on by Artistic Director Alistair Spalding, who programmed his choreographic debut for the Sadler’s Wells stage, Uprising/ In your rooms, to much acclaim. A year later, Shechter established his own company and Sadler’s Wells commissioned Uprising/ In your rooms: The Choreographer’s Cut, a reworking of Shechter’s acclaimed double bill featuring a band of 20 musicians alongside a company of 17 dancers, which stormed London’s Roundhouse with two sold-out performances in March 2009. Richard Winsor as Edward in New Adventures’ Edward Scissorhands (c) Bill Cooper. Matthew Bourne’s New Adventures has produced some of the most successful dance shows of the last two decades. This game-changing company first came to Sadler’s Wells in 1993 with its Nutcracker!. In 1995, Matthew Bourne’s now-iconic production of Swan Lake premiered on our stage. 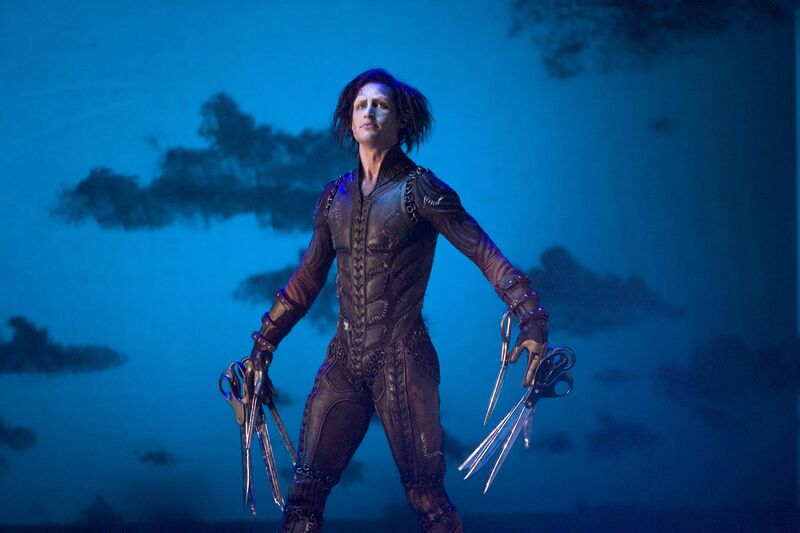 But it was in 2005, as a newly-appointed Sadler’s Wells Resident Company, that New Adventures first brought its theatrical magic to our current theatre, with its unique twist on the bittersweet story of an outsider, Edward Scissorhands. While the company has occasionally appeared on our stage in the summer months, for example with The Car Man in 2015 and Dorian Gray in 2008, New Adventures productions have long been a regular and much-loved feature of our Christmas season – Swan Lake returns to our theatre in December. Russell Maliphant and Sylvie Guillem in PUSH (c) Johan Persson. PUSH was the very first Sadler’s Wells production and signalled the beginning of an exciting new chapter: Sadler’s Wells as a producing house. Choreographed by Russell Maliphant for himself and Sylvie Guillem (“a pairing made in heaven”, The Times), this modern-day classic went on to enjoy a 10-year tour across four continents – Europe, North America, Asia and Australia – with sold-out performances in cities from Paris to New York, Melbourne and Taipei, winning major awards including an Olivier. Since the premiere of PUSH, Sadler’s Wells has regularly produced new works, including major collaborations such as Sutra (Sidi Larbi Cherkaoui & Antony Gormley), Michael Keegan-Dolan’s Swan Lake and Natalia Osipova’s Pure Dance. And, of course, there’s more to come – this season we’re excited to bring Reckonings and Dystopian Dream to our stage. Crystal Pite’s Polaris (c) Andrew Lang. 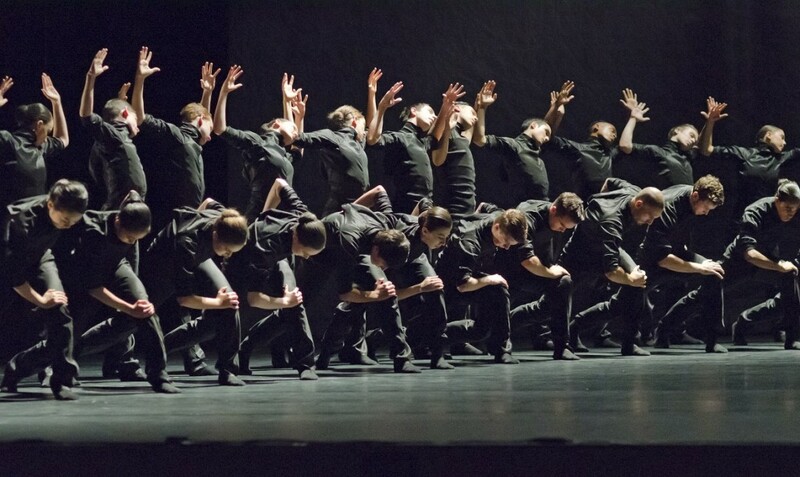 This extraordinary work choreographed by our Associate Artist Crystal Pite in 2014 involved 64 dancers drawn from her company, Kidd Pivot, as well as the London Contemporary Dance School and the Central School of Ballet. Part of See the Music, Hear the Dance, a mixed bill of dance works set to the music of composer Thomas Adès, Polaris saw Crystal orchestrate an organic mass of bodies, morphing and pulsating to the Adès piece of the same name. This was a first for Sadler’s Wells. No Body was an immersive, multi-part and multi-room series of installations combining elements of a dance performance – lighting, design, sound and projection – while removing the physical presence of dancers. Different installations were dotted throughout the building, including in behind-the-scenes spaces not normally open to the public such as the stage, rehearsal studios and even our light store. Beginning with Michael Hulls’ visual installation LightSpace, audiences then embarked on a trail, including Nitin Sawhney’s sound and visual installation Indelible, spread across three of the foyers, lighting expert Lucy Carter’s three-part Hidden, and films by dance artists Siobhan Davies and Russell Maliphant. National Youth Dance Company present (in between) by Jasmin Vardimon (c) Tony Nandi 2013. In February 2012, the Department for Education and the Department for Culture, Media and Sport published an independent review by Darren Henley with a key recommendation: ‘a new permanent National Youth Dance Company should be created and funded.’ Following an open application process, Sadler’s Wells was awarded the contract and formed the National Youth Dance Company in September 2012. 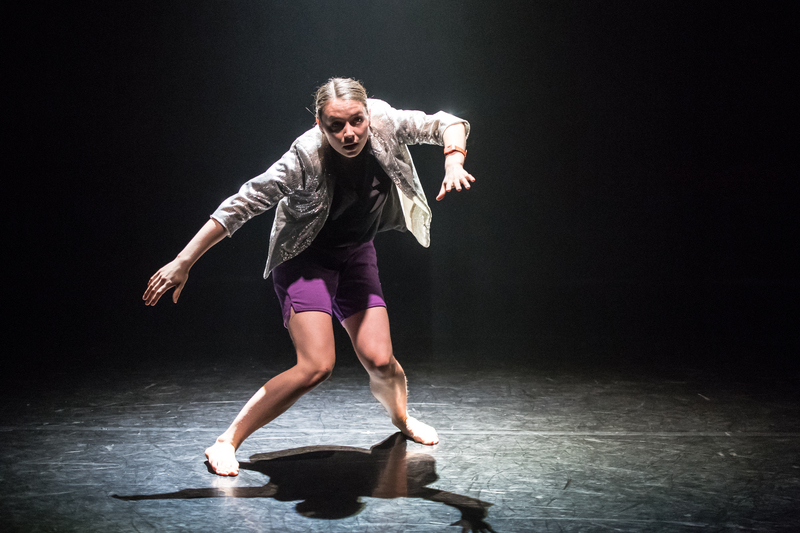 Since then, every year dancers aged between 16 and 18, or up to 24 if deaf or disabled, work with a Guest Artistic Director during the school holidays to create a full-length dance piece that premieres and then goes on tour across the country each summer. In 2013, the first cohort premiered (in between), choreographed by Jasmin Vardimon. The 2018-19 company will work with Guest Artistic Director Botis Seva and are set to premiere their new work in spring 2019. Company of Elders, our resident company for the over-60s, has been challenging assumptions about dancing and age longer than our current building has been standing – it was established in 1989. A landmark moment came in 2006, when the company performed Natural, choreographed by Clara Andermatt, at the Venice Biennale in Italy. Increasingly in demand, the company performs regularly, including at our Elixir Festival, established in 2014 as a unique celebration of lifelong creativity. More recently, the ensemble performed in Japan last month as part of the Saitama Arts Festival. We want to share the best dance with the largest possible audience. As part of our commitment to access and inclusion, in 2015 we launched a new community engagement scheme to reach wider audiences within Islington, our borough. Working in partnership with local organisations, housing associations and community centres, the Get into Dance initiative offers local residents access to specially subsidised tickets. Earlier this year, a pilot Ambassadors’ scheme was launched to deepen the participants’ engagement with dance, with activities including skills training in dance writing, talks from dance specialists and invitations to behind-the-scenes experiences. Two of our Dance Ambassadors – local residents Janice and Kate – came to see Ballet British Columbia in March. Watch our film to find out what they thought. Founded by Cuban ballet star Carlos Acosta, Acosta Danza made its UK debut on our main stage in September 2017 as an International Associate Company of Sadler’s Wells. Acosta set up the company in Havana after retiring from The Royal Ballet. “Acosta Danza has been founded with the intention of paying tribute to the wealth of Cuban culture”, he said at the time of the launch. “It is an aspiration that has grown out of my vision as an artist, incorporating all that I have learned during the past 25 years of my professional career.” Acosta himself made a guest appearance as part of the Debut programme, which featured the UK premieres of works by Sidi Larbi Cherkaoui, Goyo Montero, Jorge Crecis, Justin Peck and Marianela Boán. Sadler’s Wells collaborated with AnOther Magazine to create a unique series of short films uniting fashion, dance and cinema in a radical new way. The series, titled MOVEment, saw seven of the biggest names in fashion create bespoke costumes for seven specially choreographed performances, interpreted for the screen by seven pioneering directors. The collaborations included dancers of our International Associate Company Tanztheater Wuppertal Pina Bausch with Prada (film by Kevin Frilet) and a performance by Nevena Jovanovic choreographed by our Associate Artist Jasmin Vardimon with costumes by Stephen Jones Millinery (film by Matthew Donaldson). MOVEment premiered in the Lilian Baylis Studio on 18 April 2015, and all the films are available to watch on the Sadler’s Wells website. In 2008 we took to the fields of Suffolk for the first time as part of Latitude Festival. Our Sadler’s Wells Presents stage saw performances from Boy Blue Entertainment, Guari Sharma Tripathi and Wayne McGregor/ Random Dance. We’ve been back every year since, as part of an extensive programme of outdoor events, including regular appearances at Latitude and Wilderness, the Big Lunch/ Great Get Together in Queen Elizabeth Olympic Park and Cally Fest in Islington, right on our doorstep. This summer was a first for us in programming a weekend takeover of the National Theatre’s River Stage. Sadler’s Wells’ Young Associate Ruby Portus. Nurturing artistic talent is an integral part of what we do. Recognising the need for more support to be given to those at the very outset of their dance-making careers, in February 2018 we welcomed our first Young Associates: Anthony Matsena, Wilhelmina Ojanen, Ruby Portus and Christopher Thomas. The Young Associate programme supports talented 18 to 24-year-olds, providing a crucial first step into their career as choreographers with a tailored programme of professional development, including the opportunity to present their work as part of our artistic programme. The initiative is the newest addition to our artist development programmes, supporting dance artists at every stage in their career. Our Young Associates premiered four new works as part of a Mixed Bill in the Lilian Baylis Studio this week. 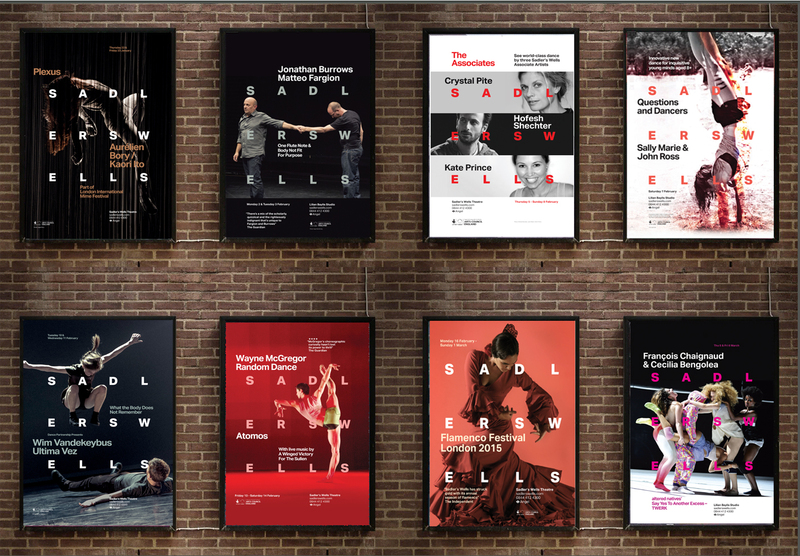 Posters in the new Sadler’s Wells visual identity, spring 2015. By 2014, Sadler’s Wells had evolved so much from the organisation it was when the theatre was rebuilt, but its visual identity had stayed the same. We commissioned design agency Red&White to give our brand a makeover, to reflect our increased role in supporting dance makers and in commissioning and producing new work. 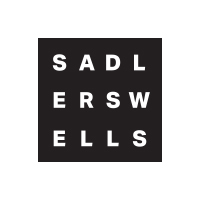 The brand refresh integrated Sadler’s Wells’ visual identity with the striking dance imagery of our productions and presentations. We were delighted that our new visual identity and communications materials won Silver in the Media category of the Design Business Association’s Design Effectiveness Awards 2018 in February. Full Circle was premiered as part of the Destino triple bill on 12 March 2009. This was an ambitious and ground-breaking work involving 120 dancers, from primary school children to pensioners, choreographed by Dance United and accompanied by the Royal Philarmonic Orchestra. They were led by Addisu Demissie and Junaid Jemal Sendi, both born into poverty in Ethiopia, trained in contemporary dance by the Adugna dance project and connected to Sadler’s Wells via our Learning & Engagement team. More recent community productions have been similarly determined in scale. 2011’s Sum of Parts featured a huge cast of 150 dancers of all ages, choreographed by six Sadler’s Wells Associate Companies. Home Turf (video above) in 2016, a collaboration with West Ham United Foundation, explored the relationship between football and dance and was performed by a diverse cast of over 100 dancers. 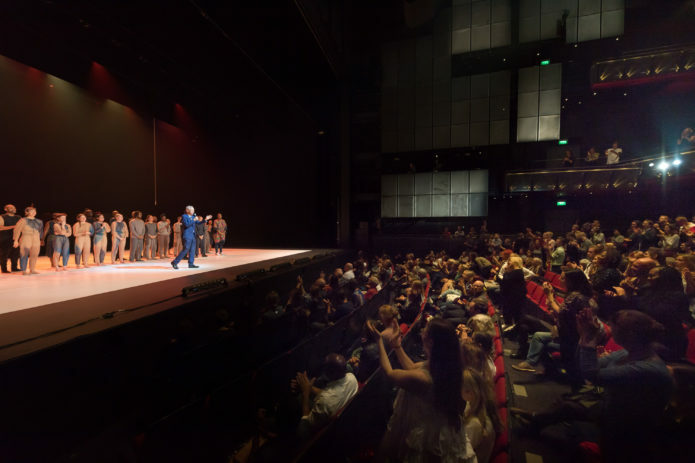 In October 1998 after two years of reconstruction, a brand new Sadler’s Wells opened its doors to the public. This was a Herculean feat in the short time given, and served as a flagship model for National Lottery-funded public arts projects. In celebration of the building’s upcoming 20th anniversary and coinciding with World Architecture Day we sat down with Roger Spence, Project Director at the time, to discuss the building’s construction, the ideas behind it, and its legacy. 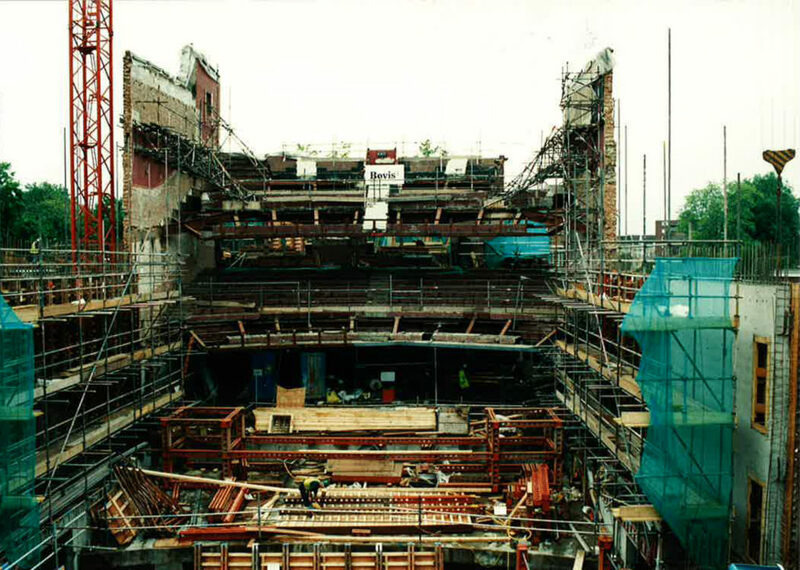 The 1998 Sadler’s Wells theatre construction was a test-case for a particular model of public funding, being one of the first arts construction projects to receive National Lottery funds. Twenty years on and with the benefit of hindsight, do you think the model has proven a successful one? The answer is yes – and I suppose the only negative is that sadly there is no longer so much money from that lottery source going into the refurbishment, construction and maintenance of arts buildings. At the time, it was absolutely the right thing to do, and it has worked well. As with any large initiative, there are examples where it hasn’t worked as intended. But the vast majority of National Lottery money has been very well spent – and I’m lucky to have done Sadler’s Wells and the Wales Millennium Centre, both exemplars of publicly-funded arts projects that continue to work fantastically well and as intended. A particularly positive outcome was the bringing-together of a whole cohort of new architects, structural and mechanical engineers, acousticians and theatre consultants who now understand about arts building. It had been a very contained group of specialists until that time, and then with that flowering of funds it facilitated a new generation of design teams particularly knowledgeable on how to build theatres, concert halls, galleries, etc. I wish, now, there was bit of a better balance towards arts construction projects through Lottery funding – there is still a lot of work across the UK that badly needs doing. More controversially there needs to be significant investment in some public and access facilities in some of the West End theatres, if they are to offer better experiences and access to theatre-goers and tourists. Architects’ impression of the new Sadler’s Wells. Image: Islington Local History Centre. Your official role was that of Project Director (and Client Representative) – what did that involve? I was the central person on the ground representing the client – in this case the Sadler’s Wells Foundation – and I often described myself as the translator in a three-way exchange between architecture, construction and theatre. At that point I had been working in theatre and dance for 30 years, and so I knew that language. Ian Albery, who needed a Project Director, knew that I had a thorough grounding in theatre production and administration, and already by that point had overseen several arts building projects. Because I had already built one complete theatre and undertaken major rebuilding on another, as well as several other smaller projects, I was versed in the architectural and construction language as well. Sometimes the different camps working on a project believe that they’re talking to each other, but often real meaning and needs get lost in the technical jargon on all sides. My job had many other facets including financial controls and programming – but it was principally about communication and ensuring the brief was delivered. We ran it as a construction management contract; facilitating a large number of smaller work packages – 50-odd single contracts that had to be scheduled. We found that a good way of working, a bit like working on a theatre production, where you’re bringing together all the different departments into a coordinated whole. What is your favourite architectural feature of the building, or the corner you’re most proud of – and why? I’m very fond of the new main entrance – added in 2014 – because it did what the earlier entrance didn’t do. It was important in 1998 to be as open and accessible as possible, making sure that visitors could see inside to all the levels of the main foyer, this we achieved with a large all-glass façade. The problem was that all the glass didn’t make the main entrance particularly stand out. People would often walk straight past. So, in 2013, during the refurbishment, we wanted to make sure the entrance was really clear. We put a big red arch up, and it seems to have worked. It’s barely a corner but the auditorium works incredibly well with a number of invisible elements that make it more flexible. There are a number of items from the 1931 building that people often pass by without realising – including the water carriers at the stage door, which was a bas relief that sat above the old main entrance. Near the stalls there are the classic ‘tragedy and comedy’ plinths, also taken from the front façade of the 1931 theatre. I like these small details, the original well, glimpses of the old Georgian and Victorian auditorium walls, that mostly go unnoticed. Construction underway on the main auditorium. Image: Islington Local History Centre. Buildings can reflect the ideals of the organisations that inhabit them. In what ways did you find that the Sadler’s Wells ethos was baked into the bricks, so to speak? We tried very hard to make the theatre accessible for as many people as possible – whether that was ensuring robust disabled access or presenting a literally and figuratively transparent face to the public. Arts spaces can often be quite closed-off, and we were very keen to try and demystify the experience. Within the welcoming process, you should be very clear as to what’s going on. Why does the theatre have a “box office”? It’s because at one time, the only spaces you could book for were the boxes. People use this phrase, but it’s quite opaque, so we very specifically say Ticket Office. There aren’t any boxes anyhow, historically people would use these boxes to be seen at the theatre rather than necessarily seeing what was on stage, which in turn did interfere with sightlines. Why is it called a “dress circle”? Not everyone dresses up nowadays. First and Second Circle is much clearer. The Community and Education Centre was another important aspect. Even in the ‘80s and ‘90s, most theatres wouldn’t have an area that was focused on community and education work – it felt as though it was the first one. It was a clear demonstration of the broader, inclusive social role that we want theatres to have nowadays. Access for those with disabilities was at the front of our minds. We had an advisory group called Freefall, comprising about 12 people, including a representative for older people, the blind and partially-sighted, those with sickle cell disease, the deaf, people with learning difficulties and others. They monitored the design, and the team was supervised by Judy Monahan. It could be tricky at times – what worked for a visual disability might not work for others – but having those voices (and responding to them) was important to us. 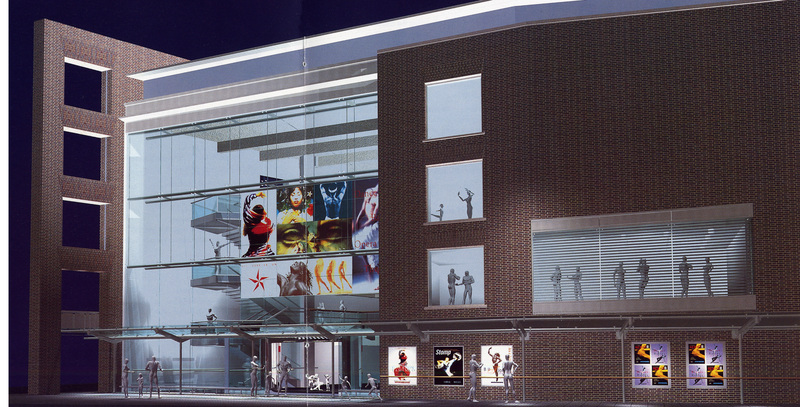 For the first time in Sadler’s Wells’ history, the 1998 building was purpose-built for dance. How does a dance theatre differ from another theatre? We kept the original framework of the auditorium – which wasn’t designed exclusively for dance, and there were a lot of discussions with the architectural team about where was the best place to have the auditorium: did we knock down the whole building, did we keep the auditorium? In the end, we decided we would keep the skeleton of the 1931 auditorium which included sections of the Georgian and Victorian theatre walls. The thing about dance is that you need to be able to see bodies and feet right down to the front of the stage, whereas, to a certain extent, sightlines in drama and lyric theatre aren’t quite as finely tuned. Dance provides you with far greater strictures in terms of ensuring sightlines. By keeping the auditorium, we had to do several things. We moved the stage a little further back, we changed the rakes on all the seating tiers to make them steeper, we ensured the stalls didn’t extend too far back to improve vertical sightlines. At the same time, we managed to get in almost exactly the same number of seats as in the old theatre. So, we retained the capacity while improving sightlines with these tweaks. An aspect of many theatres, historically and now, is a raked stage. They were used to facilitate perspective scenery and ensure performers were still visible upstage. Rakes are a nightmare for dancers, so we went to a specially-designed sprung flat stage. A huge amount of work went into that stage design – and it’s still going strong. View from the main stage. Image: Philip Vile. Certain aspects of the build that we know are important now – the inclusion of a disabled access area in the centre of the stalls, for instance – would not have been on the minds of those building the theatre’s previous incarnation. How else might have the priorities of theatre construction shifted since Frank Matcham (& co.) designed the 1931 hall? The foyer size is one – that was a famous complaint that people had about the 1931 theatre. All of the public spaces were extraordinarily restricted. You had to go out of the building to get into the higher levels of the auditorium. The bars were hot, stuffy, and occasionally smelly. So, these were concerns that were a priority, and we had to solve. Toilet numbers – particularly for women, has always been a traditional problem for theatres, so we took the regulations for the number of women’s cubicles, multiplied them by two, and added some. It might be a mundane point, but it stops queues building up and makes for a more pleasant theatre experience. We wanted to give visiting companies a better experience – really good dressing rooms, good hanging facilities, most had their own showers. Except for “star” dressing rooms that was unusual for the time. What we wanted to do was ensure that everyone had good facilities, including disabled performers. They’re really well kitted-out. We created the café space which serves as a foyer for the Lilian Baylis Studio, but at the same time provides a green room, a space where staff can have meetings, and a place where the public can gather and eat. Unusual and expected not to work, but in fact it has been very effective. You mention the wheelchair seating in the centre of the stalls, We were determined to have far more seating for wheelchair users than the statutory requirement and that most should be in really good positions. I had seen this format work in another new theatre and we adopted it very effectively. 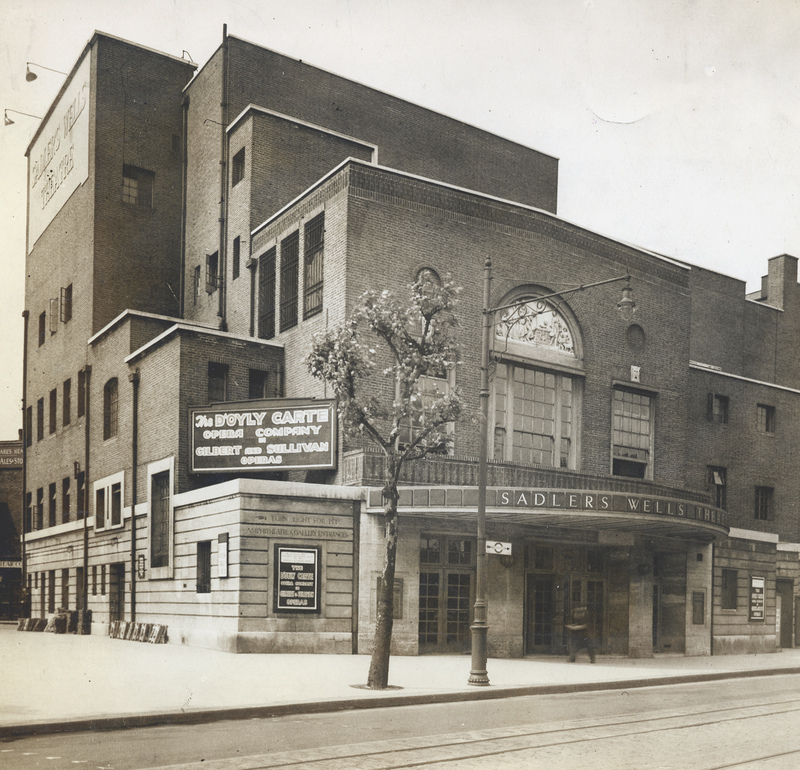 Sadler’s Wells Theatre, 1935. Image: Islington Local History Centre. There are a number of tales from the re-opening that have persisted down the years – some apocryphal, some no doubt exaggerated. What challenges were you up against in those opening few days? There were certain areas of the building which were still a bit of a building site when we opened. We had run into a bit of a problem just before opening that has caused unforeseen difficulties and certainly for the first few weeks we were using temporary licenses and were subject to checks, due to the builders being on site. The project was phased, so there was always an expectation that there was going to be more building work going on. It was the opening night, with Rambert. Certainly, the audience was in the auditorium, they were definitely twiddling their thumbs for a few minutes, and Ian did come on stage with an announcement. The figures might have got distorted over the years, I have seen written reports of 2 minutes and a quarter of an hour, never 30, but it was possibly eight or ten, however the story is broadly true. We’re soon to start construction on Sadler’s Wells East, our new 500-seat theatre at East Bank in the Queen Elizabeth Olympic Park. If you could have done one thing differently when you were overseeing the building of the theatre, what would you have done and why? To be honest, the answer is no – not really. It’s a testament to the original architects that when we did revisit it all in 2012 through to 2016, when we completed our renewals and renovations, we didn’t physically alter anything in terms of the planning and structure. Making the main entrance more visible was a small intervention, but other than that, everything stayed where it was. We had a number of meetings running up to the 2013 refurbishment where staff had the opportunity to raise issues, but nothing significant came up. Physically, from a planning point of view, it works. The theatre in Stratford won’t have the same site constraints and doesn’t face some of the limitations that we faced here, so there should be a bit more freedom. More wing space, less of a height restriction, a rectangular site. The Architects Journal in 1998 thought the building “[caught] the mood of the time.” You’ve overseen a number of high-profile arts construction projects since, including the Wales Millenium Centre and the National Concert Hall in Dublin. Do you think that mood has changed in any way? People are always sounding the death knell of theatre. Saying that in twenty to thirty years’ time, theatre won’t exist. It will! It may not exist in exactly the same way, but there’s always going to be a need for a direct relationship between performing artists and audiences. The visual language of dance will be just as relevant, perhaps more so, in the context of a proscenium presentation than other performing art forms. Will it shift? Not massively. Developments around scenery and staging, lighting and audio-visual will all contribute to the tools that creators use, but won’t mean a sea-change in terms of how theatre continues to operate. We’ve been at it since mediaeval times, and it looks like it’s here to stay. Sinking of a time capsule, 1997. The capsule contains – among other things – a piece of the wooden floor from the de Valois Room, a copy of the original deeds of the land dated 1834, a conker from Lilian Baylis’ commemorative horse chestnut tree and a bus ticket of route 19. Image: Islington Local History Centre. 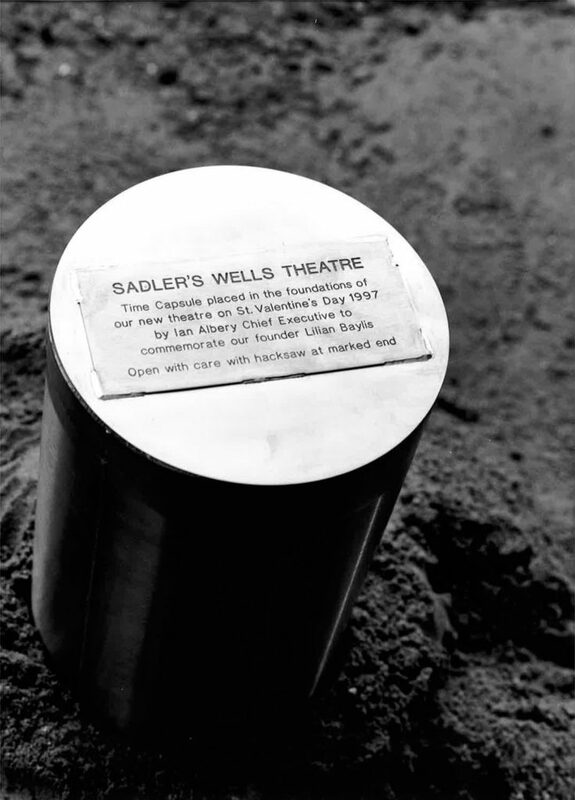 2018 marks the 20th anniversary of Sadler’s Wells’ present building. Erected on the same spot where entrepreneur Richard Sadler first established a ‘musick house’ on the site of a mineral spring in 1683, the current theatre, purpose-built for dance, opened in October 1998. A lot has changed since then, but we are very proud that two things have stayed the same: our determination to work with exceptional artists and our commitment to reaching an ever wider audience through what we do. Today, Sadler’s Wells is the UK’s national dance house and a large portion of our programme each season is made up of works we have commissioned, produced or co-produced, mainly with our associate artists and companies. What better way to celebrate, then, that commissioning 20 new works for our stages? They include Reckonings, a special triple bill premiering in our anniversary week in October, featuring pieces by three distinct choreographic voices who are creating work for our main stage for the first time: Julie Cunningham, Alesandra Seutin and Botis Seva. Our 20 commissions also look back at our longstanding relationships with established artists. These include: two new works in William Forsythe’s first full-length programme since his company closed in 2015; the UK premiere of Mark Morris’ acclaimed Layla and Majnun; a new mixed programme created for ballerina Natalia Osipova; and our Associate Artist Akram Khan’s final full-length solo production, XENOS. We also commissioned our newest Associate Artist, Sharon Eyal, to create work for National Youth Dance Company as their Guest Artistic Director for 2018. Developing dance for and by young people continues to be a priority. We have commissioned two new works for families – balletLORENT’s Rumpelstiltskin and upsidedowninsideout, an immersive, site-specific journey for families. We also launch our inaugural Young Associates programme, designed to nurture young choreographic talent aged 18 to 24, giving them a platform to create new work. We would like to thank The Monument Trust for their generous support of our new commissions.